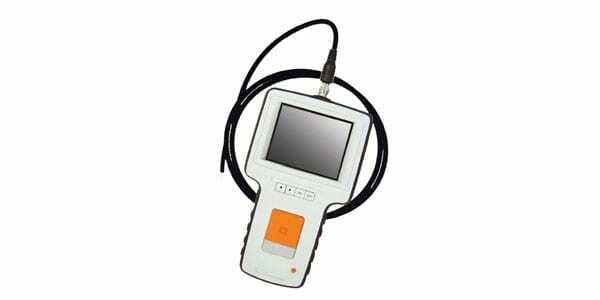 The MFE Series Videoscope System provides a high resolution view of problem areas during industrial inspections of storage tanks, pipelines, and much more! 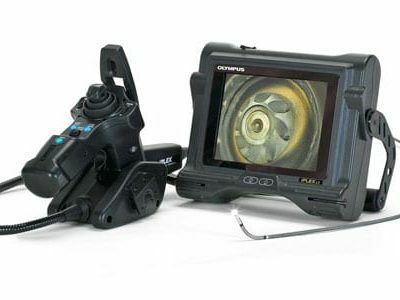 This portable videoscope system is built to handle challenging applications for the Non-Destructive Testing (NDT) and Remote Visual Inspection (RVI) industries. Inspectors can capture up close photos and videos with various tube diameters—3.9mm to 8mm– and focal lengths, ranging from 3m to 30m. 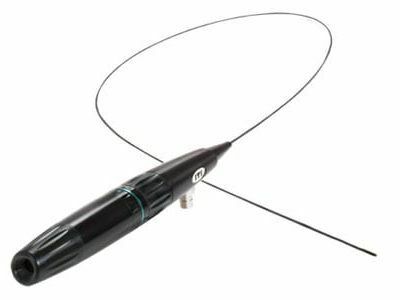 Articulating and Non-articulating probes are available, featuring LED illumination bulbs with adjustable intensity. With its lightweight, quad layer construction, water and oil resistance, and strong bending section, the MFE Series Videoscope System is meant to keep up with tough inspection environments, increasing its lifespan and lowering the cost of ownership. Other features include a 3.5 inch LCD color monitor and a rechargeable Li battery, with a run time of 3.5 hours, extending the inspection window, while decreasing downtime. 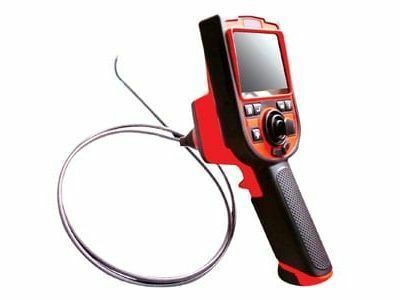 The MFE Series Videoscope System is easy to use and cost effective—the very latest in a long line of quality NDT products from MFE Enterprises.